We encourage you to review the information below to learn more about the insurance plans we accept. If you prefer to finance your treatment, we also work with a number of reputable lending agencies that can help you bring vision care costs into your budget. For more information about registration, insurance coverage, financing options, or scheduling a consultation, please contact our practice today. Nevada Eye Consultants works with a number of health insurance agencies, including Medicare, Hometown Health, and most major carriers. Our skilled and friendly team will bill your primary insurance for you and provide information on how to bill any supplementary insurance coverage you may have. We can also obtain an estimate of your benefits, to help you plan your treatment and finances accordingly. We understand this process can be confusing, and we’re here to help you navigate the experience. In the event insurance does not cover the full cost of treatment, or if you prefer to pay out of pocket, financing may be able to help you bring the cost of a procedure into your budget. 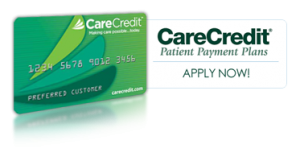 We work exclusively with CareCredit®, a reputable healthcare lending firm that provides eligible applicants with a range of low-cost, no-interest plans with appealing terms. You can find out if you qualify quickly and easily online, and they offer loans up to $25,000 towards your desired treatment plan. Talk to us today to learn more or click on the link below to apply.